"Who can bring a case to the Court?" "What are the conditions of admissibility?" "What is the difference between a Chamber and a Section?" "Do judges sit in cases concerning their own country?" "Can the Court's composition vary from one case to another?" "When does a Grand Chamber hear a case?" "What are the different stages of proceedings before the Court?" "What is a pilot case?" "How are the Court's judgments enforced"? 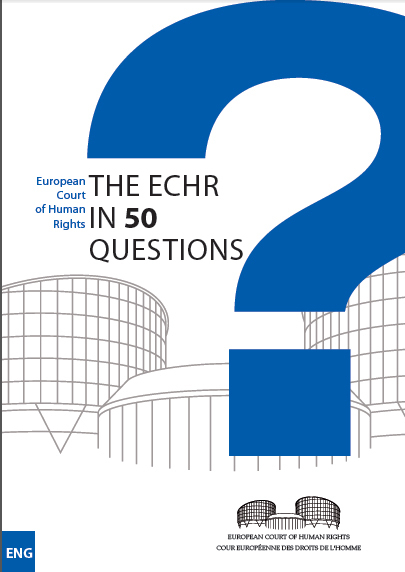 To answer such questions, the European Court of Human Rights has produced the online handbook The ECHR in 50 Questions. 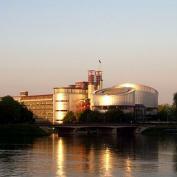 Some answers are better suited to scholars of and practitioners before the Court than to casual readers, but the publication is helpful for anyone concerned with the European Convention on Human Rights (ECHR) and with the Court (also ECHR, or, to avoid confusion, ECtHR).